"Is there any Facebook password hacking tool that really works? I have tried many but everything asked for survey and some other downloads and ended up in a failure state. Any recommends?" As the one of most popular social networking websites on the internet, Facebook has attracted billions of users. Hacking Facebook password is always problem troubled many people who forgot their password. Here, I will show you 3 best online facebook password hacking software to retrieve your lost password and how to protect yourself from illegal Facebook hackers. 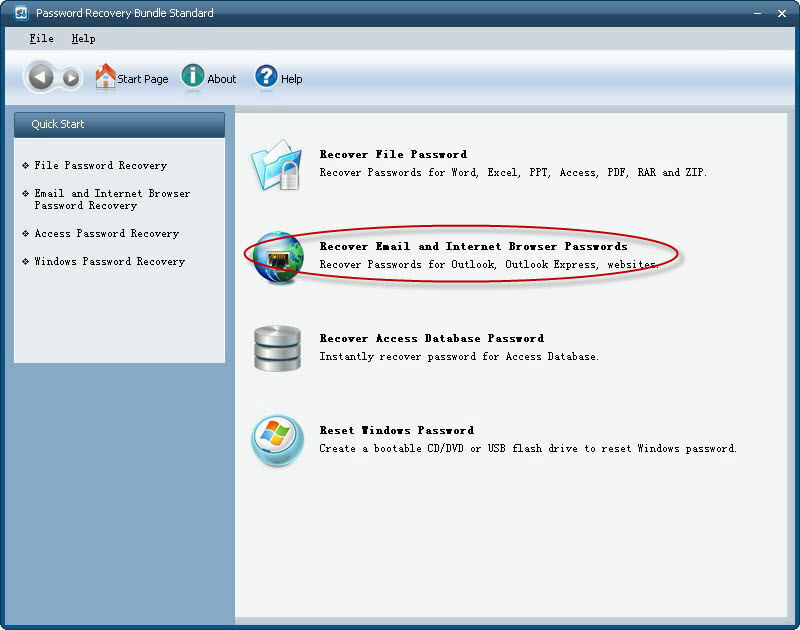 SmartKey Password Recovery is an all-in-one password hacking software that can hack password for Windows, Excel, Word, Access, PowerPoint, PST, Outlook, Outlook Express, RAR/WinRAR, ZIP/WinZIP, PDF, IE Browser, SQL, Email, online websites including Facebook, etc. With 3 powerful password attack types Brute-force with Mask Attack, Brute-force Attack and Dictionary Attack, hack your Facebook password legally with only a few clicks no matter how you lost the password. Satzo Password Hacking Software, also called Satzo Password Retriever Software, is one of the best hacker software. With the help of the software, you can easily hack emails, Facebook passsword, and many other accounts. The whole hacking method takes only a few minutes. 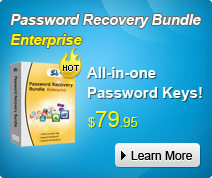 However, Satzo Password Hacking Software with License Key to buy is little expansive. If you want to buy this hacking software you should need US $200 for the basic version to US $400 for the advanced version. Here we offer you Satzo Password Hacking Software Free download with License Key Free. 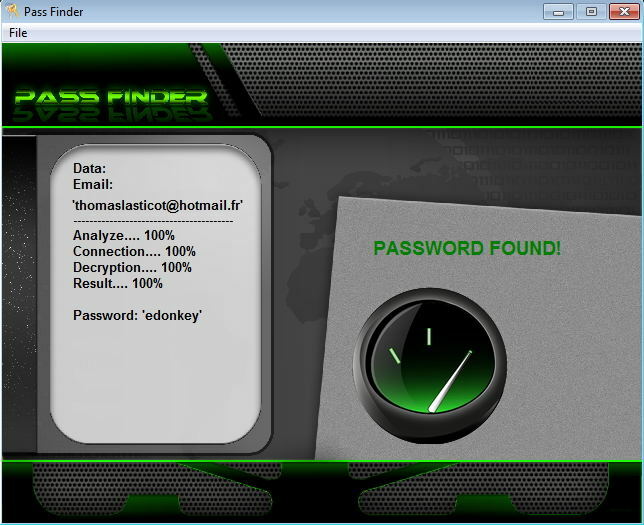 Pass Finder is one of the most effective password hacking tool on the market. It helps users acquire Facebook passwords no matter how complex or how simple the password is. The software is easy to use that you only need to install and run Pass Finder on you the on the device you use to access to the Facebook account. Once you have entered a valid Facebook account email address, the Pass Finder will automatically decode your password. How to Protect Yourself from Illegal Facebook Hackers? Since thereare all kinds of password hacking software on the market, it is necessary to protect yourself from illegal Facebook hackers. Never login your facebook account on another computer. Install a good antivirus in your computer. Never save your facebook password in your web browser. Secure your browser with the password. Download and install software from trusted websites. Never open any spammy links that give by your friend in the message box or by SMS. Make sure you are on facebook.com and double-check the web address. So we have share 3 best Facebook password hacking program for your reference. If you have any other recommends, please share with us in the comment place.